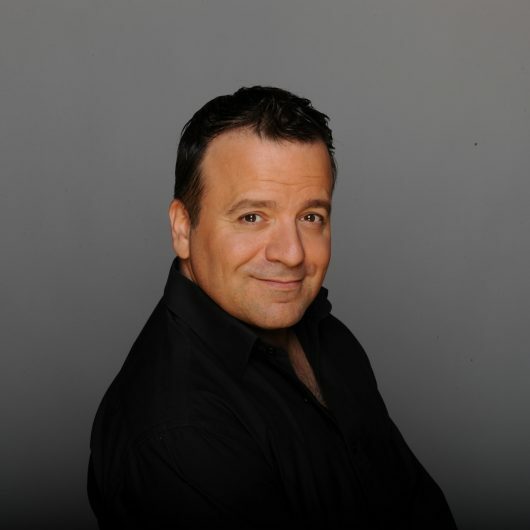 Kev Orkian is without question one the UK’s finest entertainers and an internationally acclaimed comedy pianist. Since training as a classical concert pianist Kev’s love of comedy and performance encouraged him to explore stand-up comedy and to develop his acting skills. Since then his experience, professionalism and engaging character has led to him being invited to support some of the biggest names in entertainment. Blending his off beat humour with sensational performances on the piano Kev has been acclaimed as one of the world’s finest comedy pianists sharing the stage with a diverse range of artists such as Katherine Jenkins, Lionel Richie, Dame Edna Everage and Matt Lucas to name a few. As a consummate pianist he has toured with a variety of orchestras and appeared at many prestigious venues including the Sydney Opera House, Windsor Castle & The Kodak Theatre in Los Angeles. He made his West End debut starring in Fame at the Victoria Palace Theatre. This foray into London’s theatre scene led to many other West End roles in musicals like Me & My Girl, Grease, Buddy Holly, Happy Days and Boogie Nights. 2009 saw Orkian’s leap onto the UK comedy circuit with performances at London’s Comedy Store, Jongleurs and Highlights chain of comedy clubs where he regularly receives standing ovations and rave reviews for the appeal, pace and originality of his act. In August 2010 Kev took his ‘Illegal Tour’ to the Edinburgh Fringe, appearing at the Underbelly. This critically acclaimed debut appearance led to his return in 2011 with the second chapter to his foreign comedy character “The Guilty Pianist” earning him the Spirit of the Fringe award. Later that year Kev performed at the South African Vodacom Funny Festival where he received the accolade for the most standing ovations for a single entertainer, and an appearance in the presence of Archbishop Desmond TuTu. In addition to public performanes Kev has received private invited to entertain the British Royal family, including HRH Prince Philip’s 89th Birthday, their Royal Hignesses Prince Charles, Princess Margaret and Prince Andrew, and numerous foreign Royal families of Oman and Dubai. Kev is the only entertainer to have been invited 3 years concurrently to perform for South Africa’s most prestigious Comedy Festival. This year has seen him travel the globe entertaining audiences, from Saudi Prince’s in Seychelles to the Grand West Arena in Cape Town and ITV’s “Steppin Out with Katherine Jenkins”. Kev has also be seen touring the globe with his “Kev – The Worlds Favorite Armenian” Tour, visiting such countries like Australia, Dubai and the USA including performances on , Los Angeles and Las Vegas, plus hosting a live Telethon event in LA for a third year running. This year he dedicates his performance to his beautiful wife Michelle and their newborn twin baby boys.